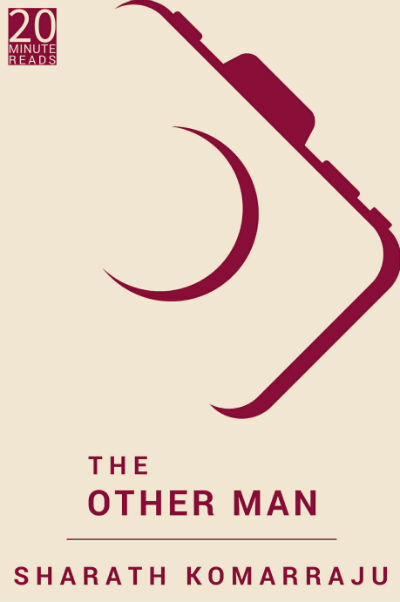 Recently I came across a short EBook named The Other Man: A Short Story by author Sharath Komarraju. Sharath enjoys a moderate fan following and his books on Mahabharata, especially the short story collections are quite popular. This book was available for free to purchase as a part of promotion when I purchased it. I found it worth reading and thus sharing my personal views and reviews for the same. Let us start with a look at the cover page of the book. The cover page follows the minimalist approach. The book title alongwith the author name is the only content of the cover page. And yet, you can see the cover page is attractive. Let us take a bird’s eye view to the plot of this book. There is a joint family living in together quite happily. One day, while doing a discussion and referring an old photograph, the new generation got curious to know about the people in the photograph. Well, actually all of them are known to them and they share a specific bond with them all. The conversation was informal and like the normal chitchat a family has on the dining table or in a free time. During the conversation they came to know that the other person than their parents (or grandparents for some family members) was “the other man”! Will this conversation lead to adversity in their relationships? What exactly does the phrase “the other man” refer in the context of this story? Well, you can read it in the story. Actually, this is the first story by Sharath I’ve read where the canvas is not setup in Mahabharata or mythology. It is kind of a contemporary fiction. The book is indeed very small and can provide you a quick read experience. Often, the price for such short story book remains an issue for the readers, especially like me 🙂 . We often try to get the best and most for the money we spend, and often neglect the other factor, the time, required to read the book. For me, in terms of money, the book is “value for money” as I got it for free, as part of a book promotion. But is it worth the time? Well, the answer is yes. The book touches a very important aspect of our life. Love. We want to love and be loved. And, when we refer love, we are talking about love only, not the physical attraction between two opposite genders. Well, that attraction is also quite natural, and there is nothing wrong in that either. But, love is a feeling beyond the explanation. In our life we see many people and for some of them we think in a specific manner only. For most of us, our grandparents, teachers and other, often remain a specific image throughout the life. And we see them like a photograph, rather then thinking about them as a film. It is often tough to imagine (though, we know) that these people were kids in past. Then they grew up as a youth and had their share of the time we are passing through. We often hear it through their words though. So, when we hear something about love life of these special people in our life, or something about their days as student, we feel something different. Awkward? Sometimes. Interesting? Mostly always. The same feelings are expressed in this short story quite interestingly. Here was this old woman she had always thought to be asexual, and here was, confessing to feelings for a man who was not her husband. I agree with you. He was a good father; A good husband, A good grandfather and father-in-law. All of that is true. And ye the was not an easy man to love? Amma’s words, chopped up into single letters of the alphabet, floated around me in bright crystal colours, rotating and hopping and waving, but my mind could still see the sentence out of which they’d sprung. Isn’t it like you are exploring a scene of a movie? Sharath is definitely good at writing. Almost entire book is written in the form of conversation. And, it doesn’t contain anything which is “adult only”. The author gives time to the characters to grow and show various shades of their respective persona. The end seems coming quite quickly and you many have other expectations for the same. A short EBook which is good in literary qualities, explores the less talked about feelings in humble manner, good companion while travelling or sipping your tea/coffee. Purchase is during a promotion and you will not regret it. Around 6.5 stars out of 10.